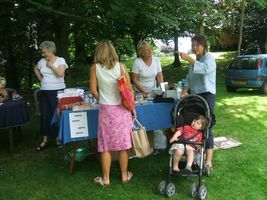 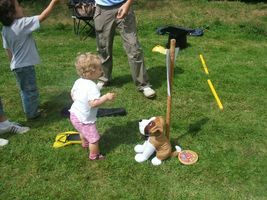 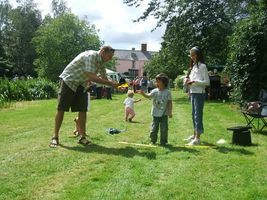 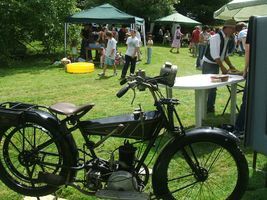 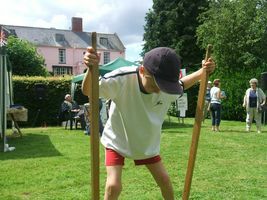 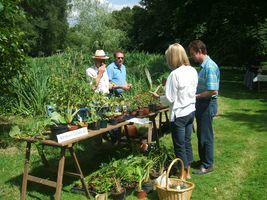 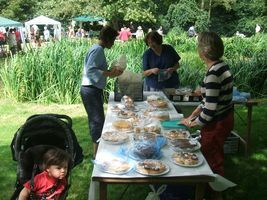 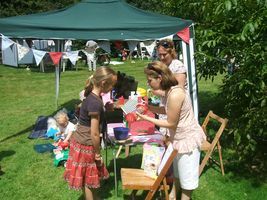 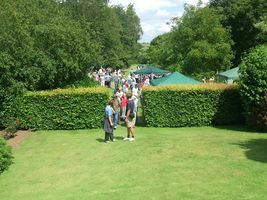 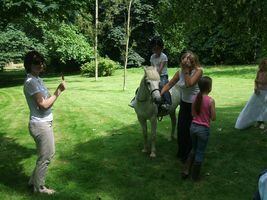 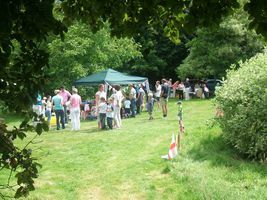 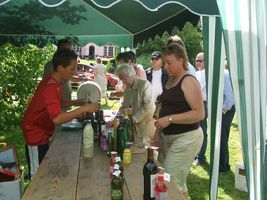 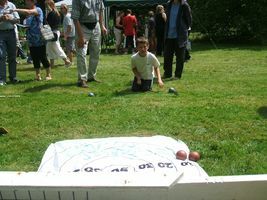 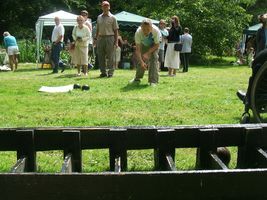 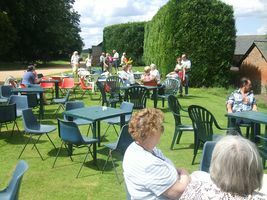 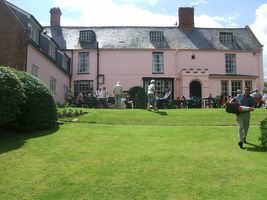 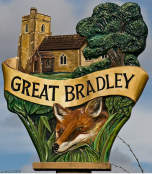 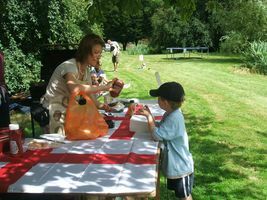 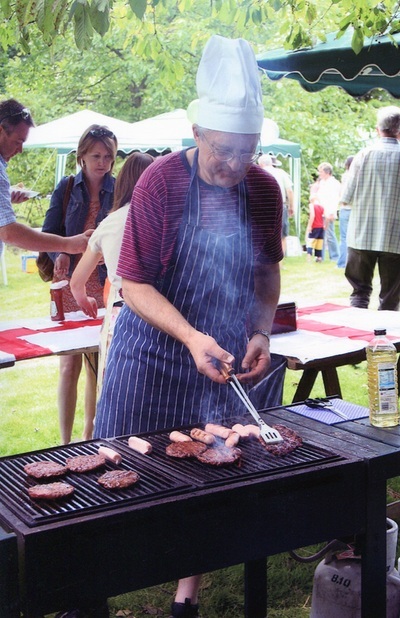 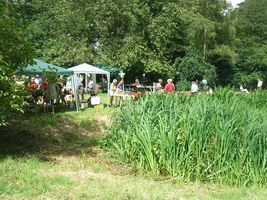 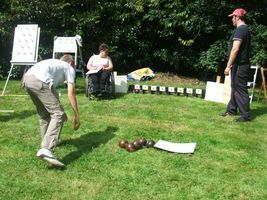 The Village Fete took place in lovely weather in the grounds of Great Bradley Hall. 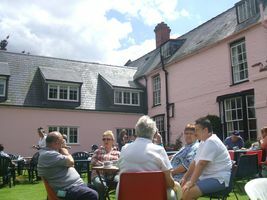 Considering it had been raining virtually every day since the end of May we were very lucky to get such a lovely warm and sunny day with just the odd cloudy spell. 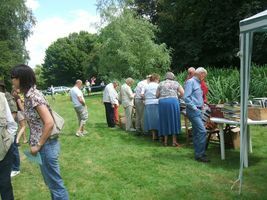 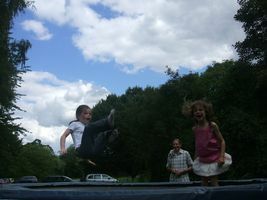 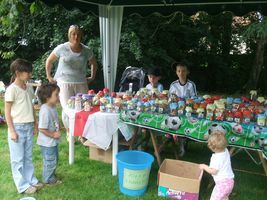 The villagers and their friends came out in force to have a good time and to raise funds for the church. 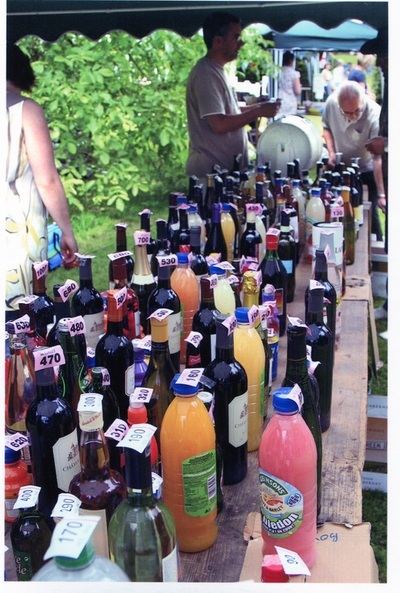 THE FINAL SUM RAISED WAS £2,300 ~ A MAGNIFICENT ACHIEVEMENT!! 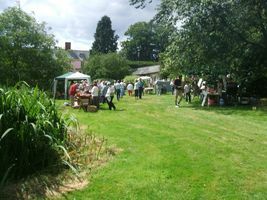 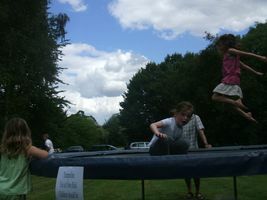 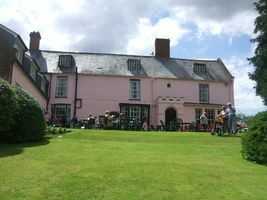 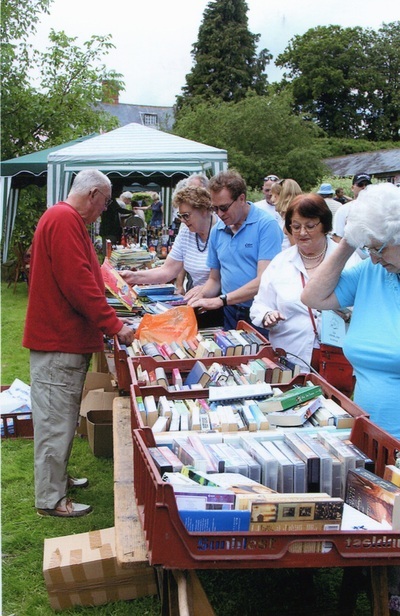 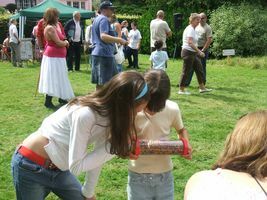 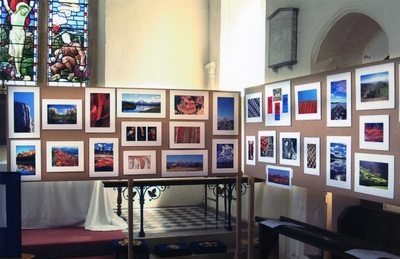 The Stalls included Pony Rides, Plant sale, Tombola, Bottle store, Prize Draw, Trampolining, Sweetie Jars, BBQ, Throw-the-Flipper, Book stall, Bowling, Hoopla, Cake stall, Bric-a-brac, Toys stall, Cafe, Guess the Bygones, Nature Quiz and a photographic exhibition in the Church itself. 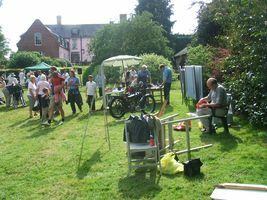 Many thanks to the Ryders for hosting the event in the grounds of the Hall, stall holders, helpers and supporters and most especially to the organising committee. 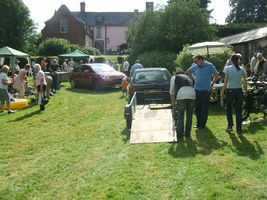 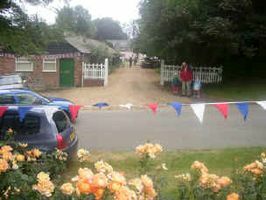 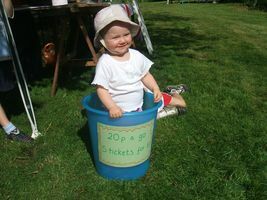 Special thanks though for everyone who spent money to support the Fete and thus raise funds for the upkeep of the Church.